Painter. Adventurer. Visionary. French artist Jules Tavernier (1844–1889) was one of the American West’s foremost talents, with a natural ability that many believed was second to none. 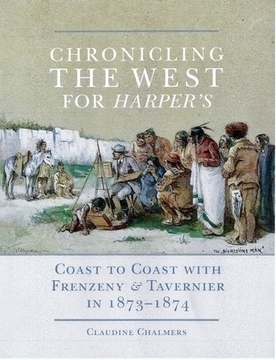 After arriving in the United States, he and fellow Frenchman Paul Frenzeny were commissioned by Harper’s Weekly for a year-long , coast-to-coast sketching tour of the frontier. This is the story related in Chronicling the West. Once in California Tavernier returned to painting and became one of the most successful and best paid artists on the west coast. His studios in San Francisco and in Monterey became a hub for California's developing art scene. Always on a quest for new and "untouched" subject matter (and weighed down by significant debts), Tavernier moved on to Hawaii, where he was fascinated by the island’s dramatic scenery. 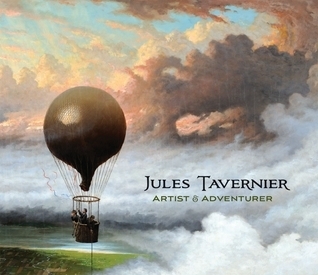 Jules Tavernier: Artist & Adventurer, the catalogue for the exhibition of the same title, is the first publication to focus on Jules Tavernier and his full range of work. With more than 120 artworks and photographs, it explores the life and work of this extraordinary artist. Authored by Claudine Chalmers, Scott Shields and Alfred Harrison. Publisher: Pomegranate Press, 2014. The opening of the West after the Civil War drew a flood of Americans and immigrants to the frontier. The Harper brothers hired two talented, spirited Frenchmen to record the vanishing frontier as it appeared to them in 1873 & 1874. This coast-to-coast assignment produced the most remarkable documentary of the West ever published in a 19th century American newspaper. Its scope is unique: 100 sketches, 12 months on the road. So is its quality: Frenzeny & Tavernier were superlative artists who developed a technique to better work together, drew directly on the woodblock for better quality woodcuts, and sent cogent commentaries to further enhance their drawings. Claudine Chalmers takes the reader along their remarkable sketching tour from New York to San Francisco in this heavily illustrated book that features all 100 sketches and commentaries. Publisher: University of Oklahoma Press, 2013. An Artist's Fascination with San Francisco's Chinese Quarter, 1874 - 1882. Book Club of California, 2012. Artists Paul Frenzeny, a Frenchman of noble descent, strict military training and encyclopedic knowledge, became one of the leading "special correspondents" in the United States and Europe in the days when woodcuts, rather than photographs, were used to illustrate newspapers. In 1873, Frenzeny undertook a year-long sketching tour of the frontier for Harper's Weekly, with fellow artist Jules Tavernier. This 100-sketch assignment proved to be an irresistible subject for author Claudine Chalmers, who then followed the Frenchmen's careers after their journey's end on the Pacific Coast. As she patiently gathered Frenzeny's subsequent illustrations in the Weekly, Dr. Chalmers discovered that he had depicted San Francisco's Chinese culture in all its pageantry and intensity, at a time when most of the white population, with California and across the country, reviled the pioneering Chinese laborers and repressed them in every way possible. 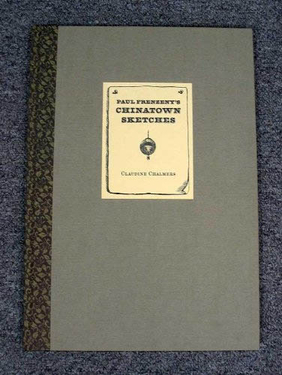 Paul Frenzeny's Chinatown Sketches explores in detail the seventeen illustrations of San Francisco's Chinese quarter which the artist drew between 1874 and 1882, at four different points of his career and four stages in the fortunes of the secretive community. The images are carefully reproduced with exquisite fidelity, at or near original size. This large 14" x 10" book designed by Jonathan Clark at the Artichoke Press, reproduces 15 black & white woodcuts by the artist, with another 3 large folding reproductions of his larger size illustrations. Its printing was limited to 425. In the introduction, Philip P. Choy, the renowned San Francisco architect, activist, and authority on the history of Chinese America, offers a foreword reflecting on Frenzeny's times and on his relevance to the world of today: Claudine Chalmers' clear documentation of Paul Frenzeny's perceptions of nineteenth century Chinatown reminds us of the sociopolitical controversies of today. The anti-Chinese slogan "The Chinese Must Go!" may be history, but intolerance of people different from ourselves persists; the targeted victims of today are of a different color. In this our twenty-first century we need more people like Paul Frenzeny, just as we did in the nineteenth century. A welcome reference and beautifully produced art history which spans the French artists of the earliest world explorations to the Franco-American children of French gold rush artists, illustrated with 80 clearly and expertly printed reproductions of paintings, sketches, lithographs, and photographs. Many of the images appear in print here for the first time. Paired with the exquisite plates are biographical essays on twenty-eight artists, their native roots, aesthetic training, career, travels, etc. The book is divided into six sections which span distinct periods of French artistic activity in California. Sections include French Explorers, French Californios, French Gold Diggers, French Artists in San Francisco, French Bohemians, and the Fin de Siècle of the 1880's and 1890's. Together, the book's biographies, and historic narratives offer a broad chronicle of the evolution and legacy of French contributions to and influences on California's art community. " The Book Club of California, San Francisco, 2001. First edition. One of 450 copies designed by the Yolla Bolly Press in Covelo, California. Foreword by James McClatchy. Folio. xiv, 144pp. Illustrated throughout with color and black & white reproductions. Notes and bibliography. 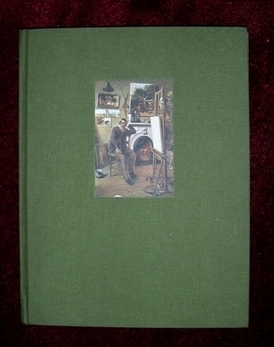 Green Dutch cloth, printed paper spine label, pictorial pastedown on front cover. Nineteenth-century California was not a destination for the faint of heart, and Frenchmen are usually said to prefer their slippers to their traveling boots. Yet many visitors from France starting in 1786 with legendary explorer Count de Lapérouse made their way to the remote and beautiful territory, leaving enduring accounts and images of their experience. As France's troubled revolutionary era began in the 1840s, tens of thousands of Frenchmen journeyed to California's goldfields. Some found wealth, others freedom, and some death. 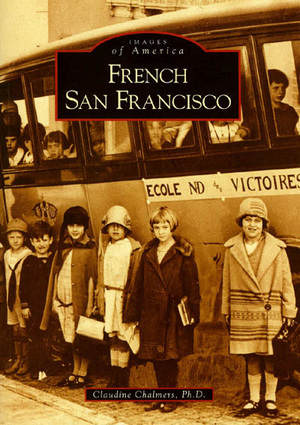 Many remained in San Francisco, helping shape the city and make it French from the inside. Mill Valley rests in the shadow of Mount Tamalpais, the tallest peak of the Coast Range. Ancient redwood groves cloaking the mountain's flanks and nearby canyons attracted a pioneer sawmill that gave the town its name. As the timber industry was replaced by dairies, Mill Valley became a destination for those drawn to beauty: hikers, campers, naturalists, artists, writers, and dreamers who gave the town its early bohemian atmosphere. Tamalpais Scenic Railway once ran the "crookedest railroad in the world" to the summit, where passengers exulted in the taste of salty ocean winds, rolling fog, and stunning vistas of the inner bay and ocean shores. Pres. Theodore Roosevelt reserved some of the area's majestic trees, now national parkland webbed with 200 miles of scenic trails, and named them Muir Woods for naturalist John Muir. I've worked as a docent in the Mill Valley Library history room, and I can testify that this little book is a brilliant collection of photos and snippets of the town's history. Not only does it have a surprising number of photos for a book this small, but its selection shows a splendid sense of editing. The book covers the period from native American days before the arrival of the Spaniards -- it does not neglect the Coast Miwoks who were the original settlers, after all -- up to the WWII period. It's a book worth having, and worth giving as a gift. Grass Valley was named for its spring-fed meadows, but its history springs from deep below the soil. An immeasurable wealth of gold lay in ancient river courses, embedded in quartz, or scattered capriciously in surface gravel. Vibrantly entrepreneurial since its inception, Grass Valley echoed with the roar of stamp mills crushing gold-bearing quartz 24 hours a day, every day, for decades. Its mines produced $350 million, and millions more are thought to be buried beneath the modern city. Grass Valley's wealth drew flamboyant stars like Lola Montez and gold-camp-urchin-turned-star Lotta Crabtree. It was here that philosopher Josiah Royce was born and Cherokee writer Yellow Bird (John Rollin Ridge) lived his final days. Grass Valley was often the subject of Alonzo Delano's tales of the gold rush, and more recently, it was the setting and inspiration for Wallace Stegner's best seller Angle of Repose. 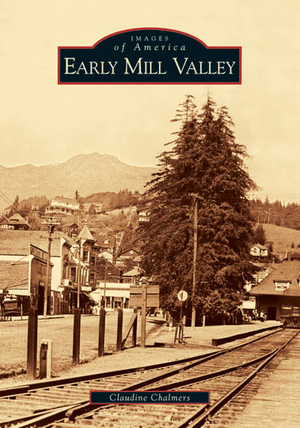 This books provides a vastly informative history of the famous gold-mining town, Grass Valley. As a Grass Valley native, I found Dr. Chalmers' book to be not only extremely interesting, but full of facts I didn't know. She gave excellent descriptions and detailed maps of the town's rich gold-mines, which were found to provide some $350 million in gold alone between the years of 1848-1965, as well as captivating biographies on the fascinating people who made this town what it is today, including the infamous writer and lecturer, Mark Twain, and well-known Cherokee writer, Yellow Bird (John Rollin Ridge). Using actual artifacts and historical images from both private and public collections, Dr. Chalmers' history of Grass Valley will provide any reader with an entertaining and factual knowledge of this charming gold-mining town in the foothills. I highly recommend it!